Although psychoanalysis and Zen Buddhism derive from theoretical and philosophical assumptions worlds apart, both experientially-based traditions share at their heart a desire for the understanding, development, and growth of the human experience. Paul Cooper utilizes detailed clinical vignettes to contextualize the implications of Zen Buddhism in the therapeutic setting to demonstrate how its practices and beliefs inform, relate to, and enhance transformative psychoanalytic practice. 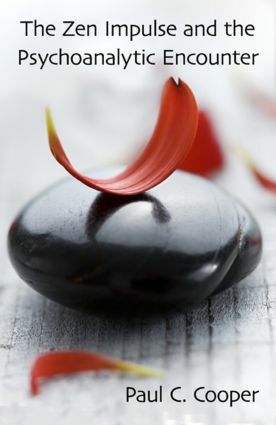 The basic concepts of Zen, such as the identity of the relative and the absolute and the foundational principles of emptiness and dependent-arising, are given special attention as they relate to the psychoanalytic concepts of the unconscious and its processes, transference and countertransference, formulations of self, and more. In addition, through an analysis of apophasis, a unique style of discourse that serves as a basic structure for mystical languages, he provides insight into the structure of the seemingly irrational Zen koan in order to demonstrate its function as a pedagogical and psychological tool. Though mindful of their differences, Cooper’s intent throughout is to illustrate how the practices of both Zen and psychoanalysis become internalized by the individual who engages in them and can, in turn, inform one another in mutually beneficial ways in an effort to comprehend the ramifications of an individual or collective expanding vision.